Community speaks: Are compact SUVs more practical than similarly priced sedans? CarToq community member Devraj Maulick asked an interesting question. He wanted to know if it makes sense buying a compact SUV instead of going for a conventional sedan of the same price. Here CarToq tries to find out if compact SUVs indeed make more sense than similarly priced sedans? Take a look. 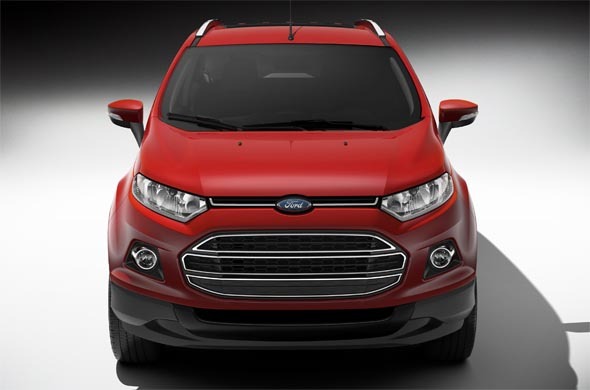 Photo: Do compact SUVs like the Ford Ecosport make more sense than similarly priced sedans? Devraj asked if with the Renault Duster almost ready for launch, the Ford Ecosport launch delayed to 2013 and the Premier Rio already having been launched is it worth spending Rs. 8 lakh to Rs. 9 lakh on a compact SUV instead of going for conventional sedans like the Honda City, Hyundai Verna and Ford Fiesta. Devraj felt that SUVs need more maintenance as compared to sedans and that the cost of the spares for SUV’s is more than that of sedans. This discussion primarily proves that in the Indian market price is a major deciding factor and even if two vehicles belong to different segments but have the same price people will compare the two. A compact SUV is essentially built for the urban jungle and is meant to give you better visibility, slightly more road presence and partial off roading abilities, thanks to the high ground clearance. However from the point of view of a sedan buyer, these compact SUVs will not be able to replicate the level of comfort a sedan offers. Moreover sedan come loaded with tons of features which most compact SUVs will not be equipped with, so that manufacturers can keep the price competitive. What do think? Share your views in the comments section below! « Hyundai Verna to come with reverse parking camera as standard feature!